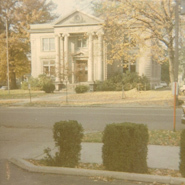 This photograph is property of the Wayne County Historical Society. Funds to build this grand old library were donated by Andrew Carnegie. In the early 1900s, Carnegie was considered the wealthiest person in the world after the sale of his company, Carnegie Steel, to J.P. Morgan. Carnegie’s philanthropy extended to donating money to communities in order to build over 2,500 libraries around the world. 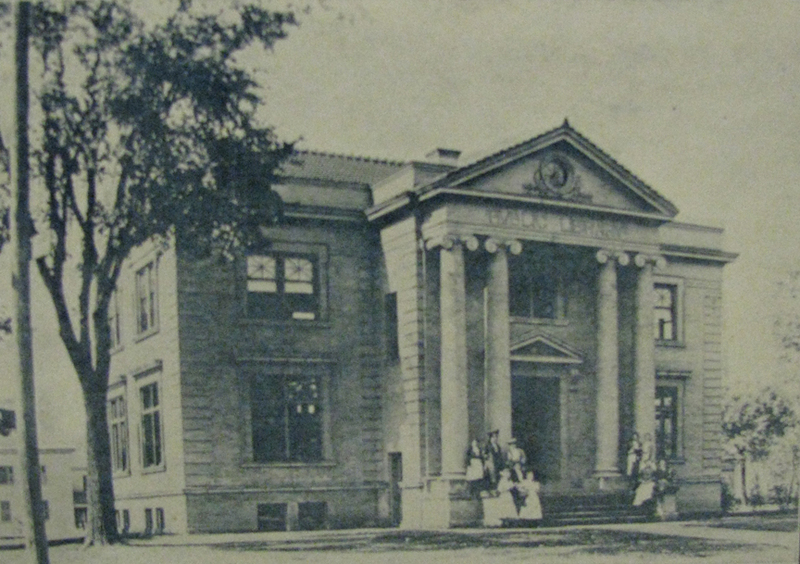 The beloved public library was demolished in 1966 to make way for a new modern facility at the same location.